Home/Fifteen Trees, Tree Plantings in Victoria/Burgers means trees! 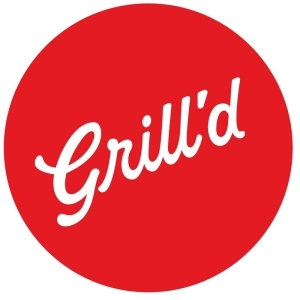 Aaron and the team from Grill’d Ballarat take their burgers seriously. We love that we are given the option at their store to buy vegan and vegetarian burgers that are both delicious and kind to the planet. This is straight from their website .. The greatest gift is the gift of giving money to those in need. We love to give back to the local communities we call home. 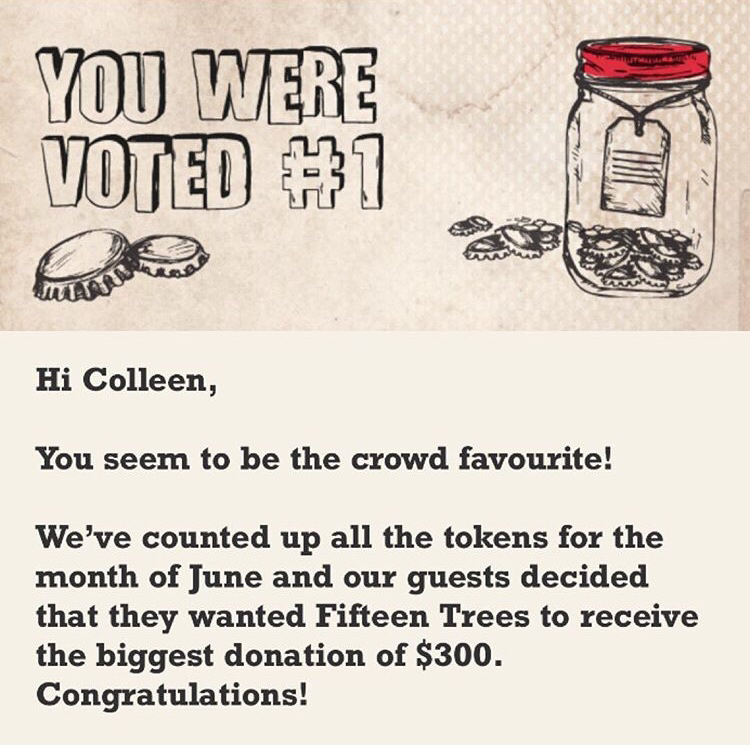 In June, Fifteen Trees was delighted to learn that we were being promoted for Local Matters at Grill’d Ballarat. That meant customers could vote for us by putting tokens into a jar with our name on it. We came up trumps and were awarded $300 for one of our tree planting projects. Thank you Grill’d and customers for voting for us. Your trees (90) have been planted. They were planted at the Westgate Reserve by RMIT students and Friends of Westgate Reserve. This area (right under the Westgate Bridge) has been earmarked to be Melbourne’s lungs. More information can be found here at Parks Victoria. 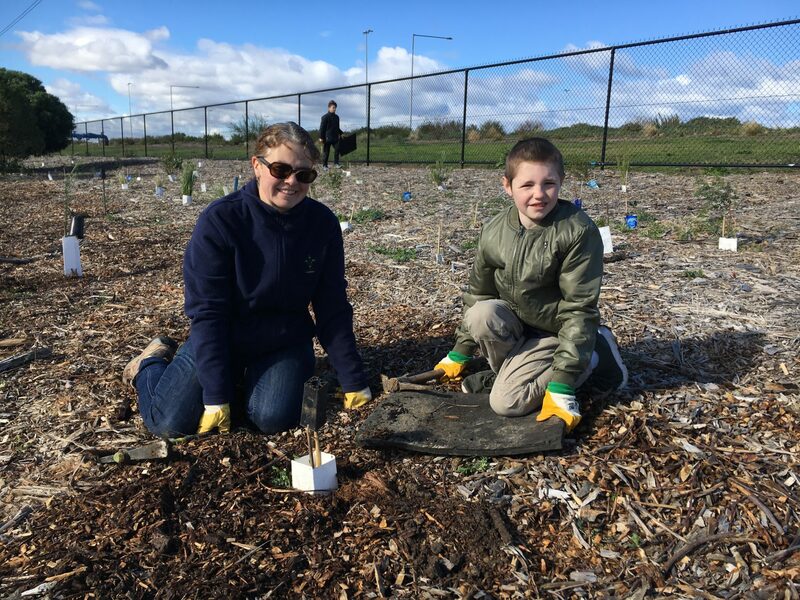 Kirstyn and son, Archer planting trees at the Westgate Reserve on National Tree Day. Now back to those burgers! Are vegan and vegetarian burgers really better for the environment? YES! According to The Guardian, a vegetarian diet does deliver a decreased carbon footprint. But we need to look out for food miles (buying locally where possible) and only buy fruit and vegetables in season. Plus, food wastage is massive problem in this country. 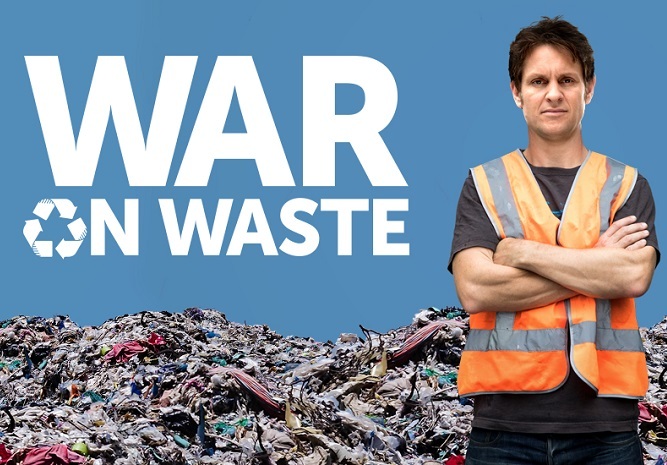 In the recent ABC series called War on Waste, they have calculated that Australians throw out one third of all the food they buy! Craig Reucassel going to war! You can catch up on this series on ABC iView. So, tread lightly upon the Earth my lovelies. Be a conscious consumer of food and buy wisely.